GLIDE-ing Through the Holidays: What Giving Back Looks Like For Gap Inc. 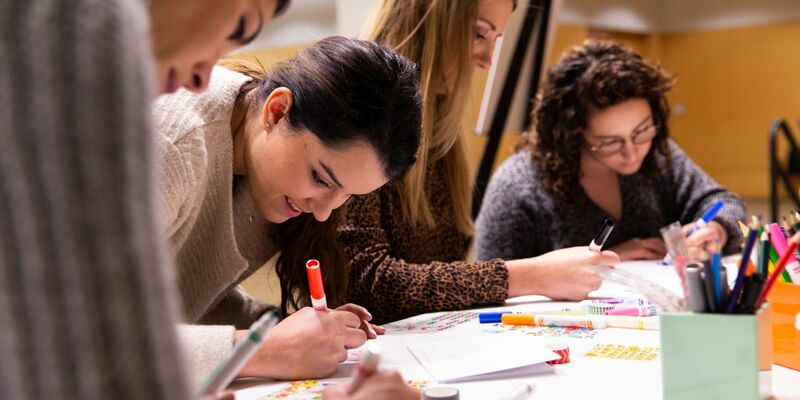 This Season | Gap Inc.
At Gap Inc. giving back isn't just a holiday thing. Employees get in the spirit allllll year long. From tutoring youth after school to cleaning up our local parks and beaches, Gap Inc. employees find meaningful ways to give back to their communities throughout the year. So when December rolls around, it's no surprise that employees proudly show up for their community, and really go all-in. In San Francisco, our HQ employees had the unique opportunity to support a long standing non profit partner on three separate occasions. For more than 20 years Gap Inc. has partnered with GLIDE, an organization that reaches those most in need, providing food, housing, healthcare, and family services. Over the course of three different events, employees had the chance to make the holidays a little brighter for Bay Area families in need. Old Navy's San Francisco flagship store hosted more than 100 youth from GLIDE's Youth Services program as they embarked on a holiday shopping spree. Each participant received a $100 gift card and was paired with an Old Navy volunteer, also known as their personal shopper! These stylin' volunteers helped participants pick out the perfect outfits, complete with graphic tees and cozy socks. Over the course of two days, more than hundred Gap Inc. employees sorted, packed and distributed grocery bags to community members of the Tenderloin and other San Francisco neighborhoods. Several thousand community members lined up as early as 6:00 am to get a complete holiday meal-in-a-bag. To make space for everyone, an entire block on Ellis Street was closed to traffic and by the end of the day, over 4,000 grocery bags were given out. 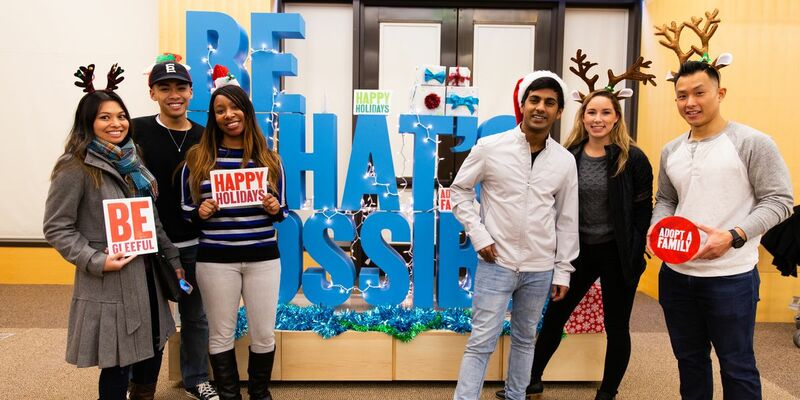 The Adopt A Family program is Gap Inc.'s ultimate holiday tradition. The program began in 2007 and allows teams across the world to partner with a local organization to purchase wish list gifts or other needed items for community members. For every 10 hours teams spend volunteering to support Adopt A Family, Gap Foundation will donate $100 to the eligible organization the team supported. In San Francisco, Gap Inc. partnered with GLIDE, St. Anthony’s and Hands On Bay Area to fulfill the wishes of hundreds of children, teens, and families from throughout the Bay Area, many of whom would not otherwise receive gifts during the holidays. From toy trucks to unicorn poop (yes, unicorn poop), shopping for gifts was an employee favorite! During the Gift Drop Off events, employees delivered their families' gifts to be sorted and distributed, enjoyed holiday treats, and made cards for homebound Meals on Wheels seniors. These are just some of the ways we gave back this year, in great thanks to our partnership with GLIDE, and all of our employees who gave their time and their energy to spread love and bring some cheer to our local communities.